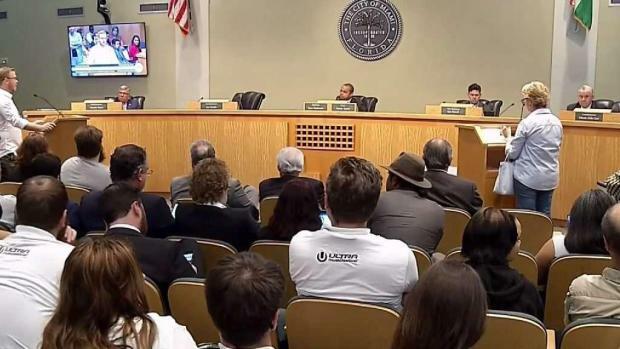 Miami city commissioners have approved Virginia Key to be Ultra Music Festival's next site. Miami city commissioners have voted in favor of moving the Ultra Music Festival to Virginia Key's Marine Stadium - a proposed move that officials, community leaders and residents of Key Biscayne have strongly pushed back against. Commissioners voted 4-1 in a meeting Thursday. Further details were not immediately available. "The City of Miami Commission's vote in favor of an agreement with Ultra Music Festival keeps this world-renowned event in our global city, while providing operating funds for a long-desired African American History Museum at Historic Virginia Key Beach," City Manager Emilio Gonzalez said in a statement. "We will continue to work with Ultra to ensure that our sacred natural resources are protected, and to mitigate any negative impacts to our residents." Miami city commissioners are expected to vote Thursday whether to allow the giant Ultra Music Festival to move to Virginia Key. NBC 6's Nathalia Ortiz reports. The festival, which drew hundreds of thousands of people to Downtown Miami each year, used to be held at Bayfront Park until commissioners voted against a contract that would keep the event there. Now, festival organizers have an eye on Virginia Key, abundant with marine and plant life, as Ultra's new home, but a coalition of business, community and government organizations are vehemently opposing it. 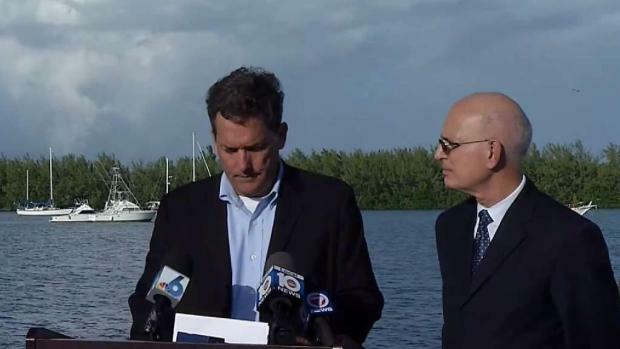 "This isn't about anti-Ultra," Key Biscayne mayor-elect Mike Davey said. 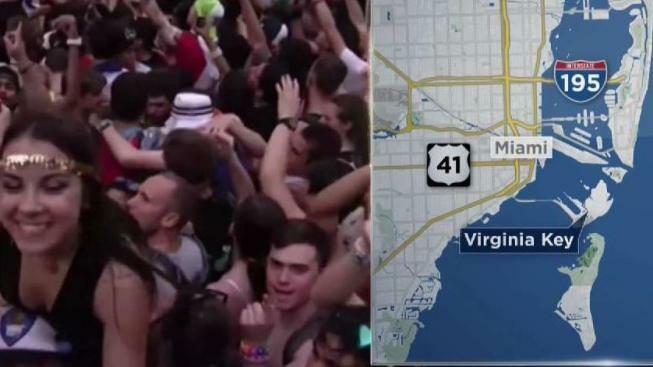 "This is about, this is the wrong spot for Ultra." NBC 6's Darryl Forges has more on the debate about where the massive music festival will take place come 2019. Critics are citing traffic, safety and environmental impacts as reasons to keep Ultra away from Key Biscayne. The festival has come under fire in recent years over issues relating to crowd control and arrests, including a security guard being critically injured after a fence collapse during the 2014 event when a large group attempted to enter. A video PSA voiced over by Davey warned of the effects they claim could come out of the festival, such as immense traffic gridlock, drug abuse, violence and pollution. A Nov. 10 statement from Ultra festival organizers called the video "patently false and inaccurate." 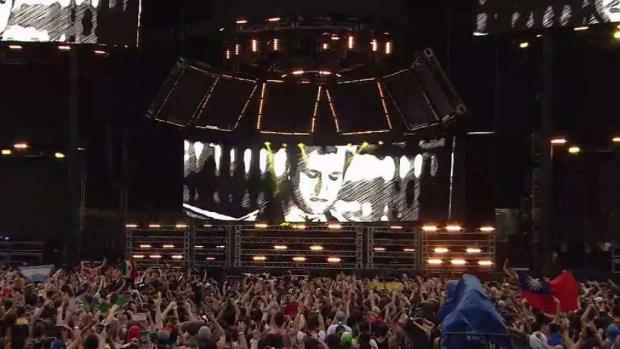 Residents and officials held a meeting ahead of a key vote happening in regard to the future of the Ultra Music Festival. NBC 6 anchor Johnny Archer reports. "It unfairly disparages our brand and potentially criminalizes our patrons," Ultra’s spokesperson Ray Martinez is quoted in the statement. Event organizers went on to say they are consulting with experts, scientists and other professionals to reduce any problems. "It could potentially be harmful to surrounding marine organisms and sea life," said marine biologist Robbie Roemer, who offered insight on the dispute Wednesday and has no affiliation with either party. "But if it's done properly, it can be properly mitigated, I’m sure, if enough attention is focused on the natural environment." But homeowner Jenny Ibarra's concerns have to do with her kids' safety. "I thought, oh no, this is not the right place for Ultra," she said. "I think Ultra is not a family event. This is where families come and enjoy being a family and outdoor activities and Ultra does not belong here."